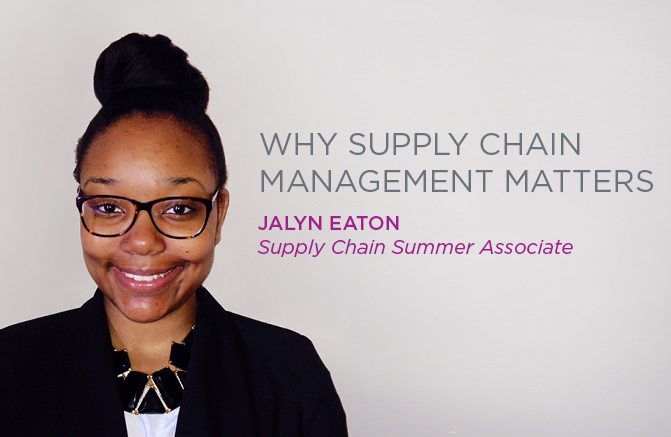 Supply Chain Management stands as a critical component in UPMC operations. This department ensures that all UPMC hospitals and medical facilities have the proper clinical and non-clinical supplies, guaranteeing the highest quality patient care delivery. Without supply chain, acquiring the necessary equipment, supplies, and supportive services for patient care would be quite problematic. Supply Chain management not only guarantees that every patient has access to the products and services he or she needs, but certifies that patients receive said goods and services in a timely manner. Behind the scenes in Corporate Services at the U.S. Steel Tower, the sourcing team strives to negotiate the lowest possible costs, while also aligning standardization of certain products amongst all UPMC facilities. This standardization effort helps UPMC save money, and allows further company investment in patient care services. Hundreds of employees work each day to ensure that our department runs efficiently and effectively, for our utmost priority is our patients. Supply chain plays a major role in supporting the health system’s daily operations, and facilitating physicians’ decision-making processes in choosing the best products for patient care.